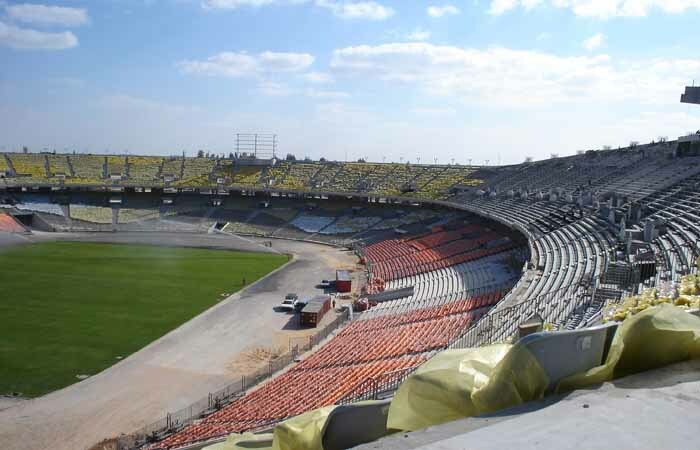 -Ahli and Zamalek Club, founded in 1958 and renewed in 2004 has seen this stadium for the African Nations Cup in 2006 and won by Egypt and expands to more than 74100 spectators. 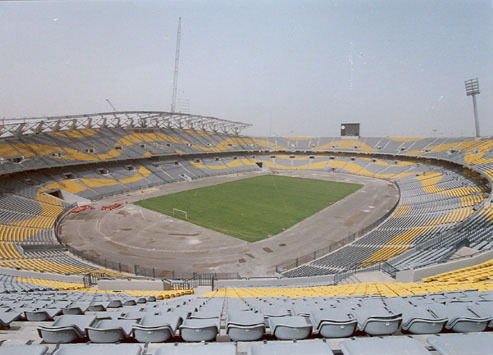 The Cairo International Stadium was the largest of its kind with the Olympic standards in the Middle East and Africa region, located in Nasr City, north-east of Cairo was built in 1960 was completed and opened by late President Gamal Abdel Nasser's revolution of July celebrations in the same year. 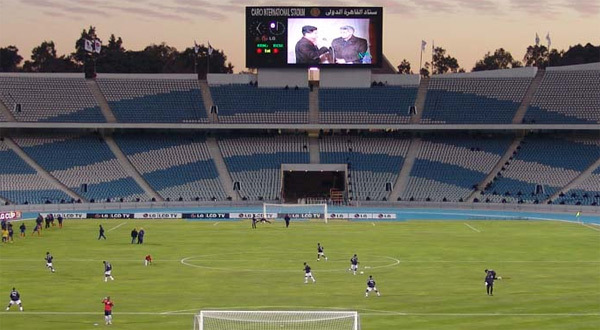 On stage in 2005 the Cairo Stadium to fit the criteria Olympic standard in the new century atheist century, where the company has seen the African Nations Cup 2006. 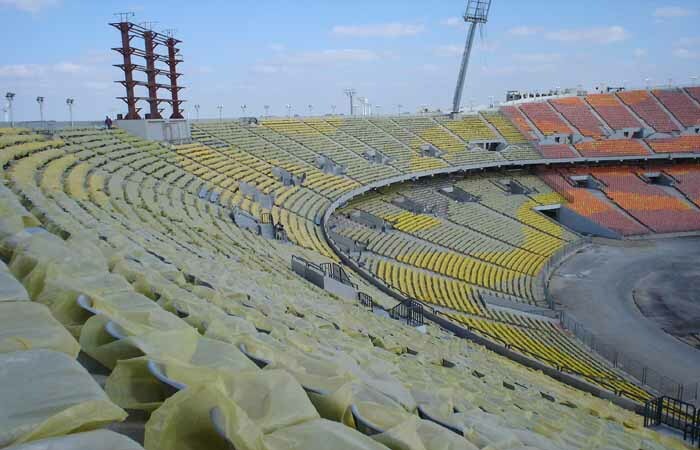 The stadium is located at a distance of 10 kilometers from Cairo International Airport, 30 kilometres from downtown Cairo. 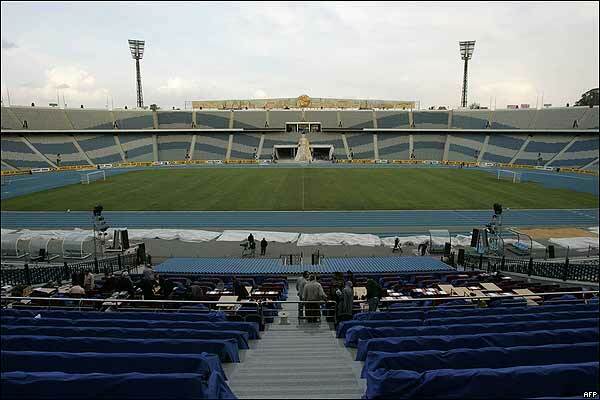 Borg El-Arab International Stadium, which is considered one of the largest stadium in the Middle East. 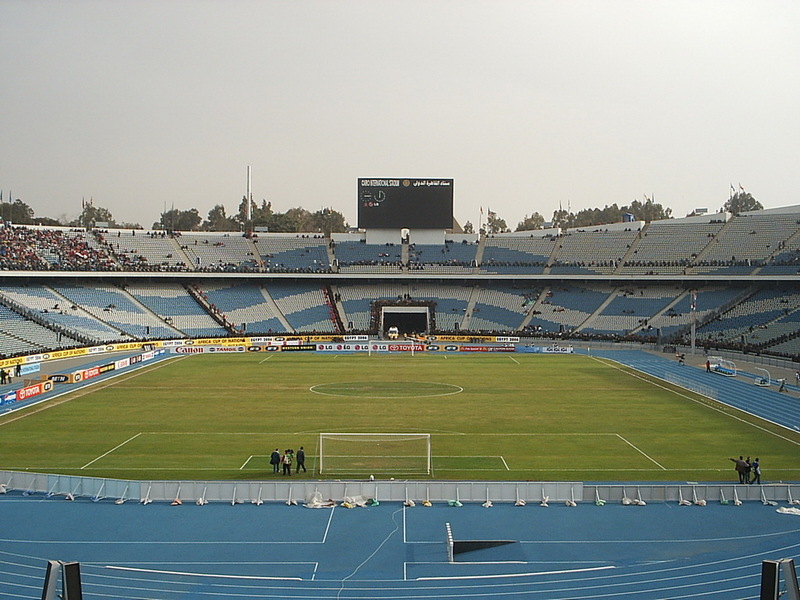 It resembles Astadbaris, erected on an area of 145 acres and expands to 80 thousand spectators and long fence erected around 3 metres, internal road network of 6 metres and a parking lot accommodates 5 thousand cars and 200 buses in addition to the airstrip and there are 136 electronic gate and the main cabin covered umbrella covering 35% of The proportion of the stadium which is the largest umbrella in the Middle East length of 200 meters and distance 60 meters, covering an area of 12 thousand square meters, equivalent to 3 acres. Fourth stadium Air conditioners and includes rooms off clothing and salon and entrances, also includes the stadium 8 lifts the media for the disabled, services and public figures, also includes sub-Tennis stadium for training expands each to 2000 and includes all the spectators stadium pulling clothes and rooms for Tartan athletics, the stadium also includes a hotel for 200 people Air and has a swimming pool and Jmanezm and administration building accommodates 80 people, also includes stadium runway capacity Borg El-Arab journalist to 3000 and includes booths for broadcasters and maintenance of emergency and ambulances as well as 32 cafeteria to serve the public and 337 private bathrooms for the use of the masses, including 33 for women and 8 for the disabled.